Debuting fall 2018, The Lincoln Eatery marks the arrival of one of the 21st century’s biggest global culinary trends – the modern food hall – on Miami Beach. Located adjacent to Lincoln Road, South Beach’s famed pedestrian shopping, dining and people watching street, the highly-anticipated urban food collective will present a curated selection of 16 unique dining and drinking options featuring an eclectic assortment of culinary concepts. As envisioned by its developers, Terranova Corporation, South Florida’s leading full-service commercial real estate firm, The Lincoln Eatery is poised to become a convivial hub on Miami Beach – a gathering place that celebrates the intersection of food, design and community in a setting perfect for Instagram-worthy moments. 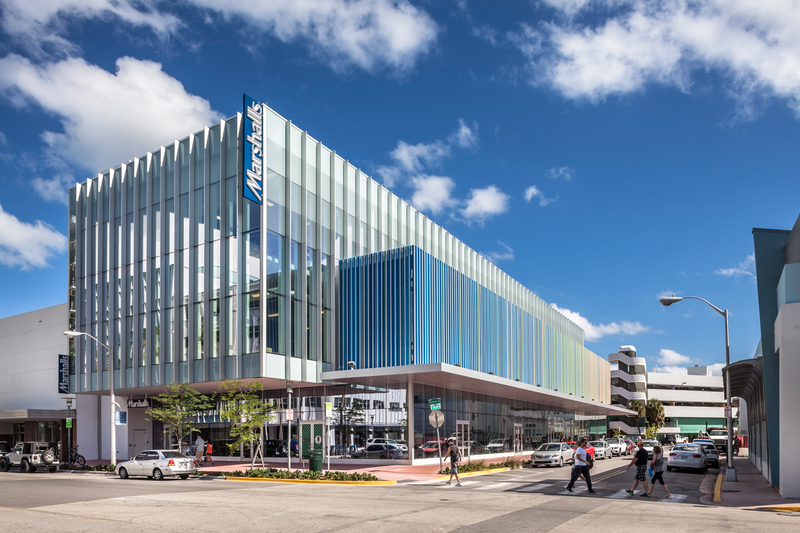 Designed by Arquitectonica – the iconic global architecture firm notable for putting South Florida on the world design map – The Lincoln Eatery occupies 9,600 square feet of street level space at the intersection of Lincoln Lane and Meridian Avenue. Once open, The Lincoln Eatery is destined to become a dining hotspot for locals and visitors alike, whether they’re seeking a quick bite, a great drink or a chic space to meet, mingle, work or hang. Many of the Eatery’s tenants are new to the market, bringing authentic, and in most cases, homegrown made-in-Miami options to a wider audience with first time brick and mortar retail locations. Vendors confirmed to date give a sense of the temptations to come. They include: Necessary Purveyor serving artisanal sandwiches, teas and house-made granola; Fresh Garden Bowls featuring made-to-order salads, wraps and fresh juices; Chill’N, a Miami-based nitrogen ice cream concept; Marble & Rye, a modern take on a New York deli serving traditional Kosher dishes; TYO Sushi, a fusion of Japan’s signature sushi roots and today’s modern flavors; Toast & More, a French bakery specializing in savory and sweet tartines; and GOTAM Pizza and GOTAM Chimney Cakes, serving New York-style pizza and to-die-for freshly-made chimney cakes. The full roster of tenants will be announced later this year. The Lincoln Eatery will offer flexible indoor/outdoor seating for over 200. A modern interpretation of the industrial food hall, The Lincoln Eatery’s design elements include glossy subway tiles and polished concrete floors. Overhead, a matrix of wooden beams evokes a lush tropical canopy. The central bar, located within the Eatery, will offer wine, beer and handcrafted cocktails; in 2019, Terranova will open the project’s second phase – a spacious rooftop terrace that will be open to the public for dining, drinking, special events and just lounging. Other shopping and dining experiences in the district are online to open in late 2018 and 2019 including Genuine Pizza by Chef Michael Schwartz and Havana 1957 Café. One block north of Lincoln Road and within walking distance of the Miami Beach Convention Center, New World Center, the Fillmore Miami Beach and Miami City Ballet, The Lincoln Eatery is perfectly situated for post-shopping, before and after theatre dining and drinking. Convention center attendees will delight in this convenient option. Operating hours from early morning until evening. Located at 723 Lincoln Lane on Miami Beach. www.thelincolneatery.com; @lincolneatery. Terranova Corporation, South Florida’s leading full-service commercial real estate firm, is involved with nearly $1 billion in commercial real estate assets for its partners and its own portfolio. Terranova’s comprehensive array of services include high street retail, leasing & property management and acquisitions/joint ventures. Services are offered to a select group of partners/clients who count on us to maximize the value of their real estate. www.terranovacorp.com.